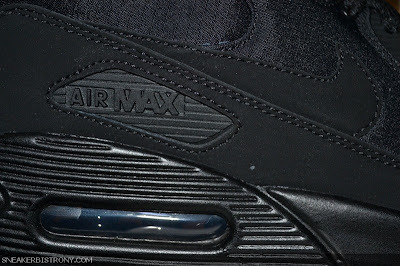 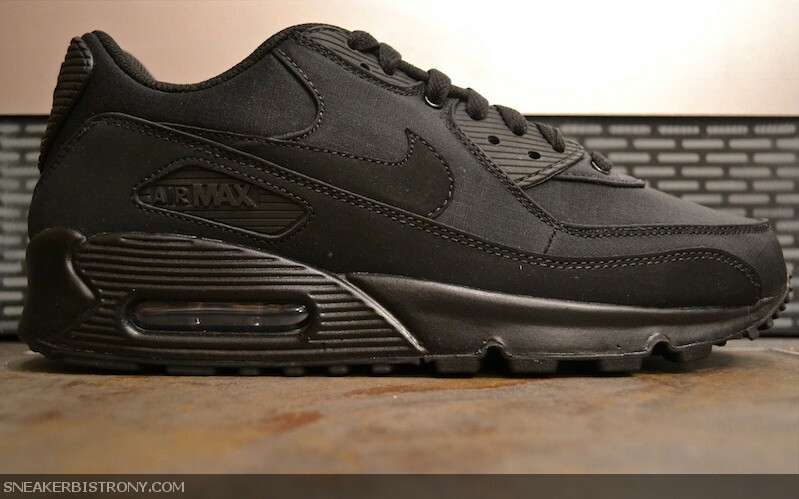 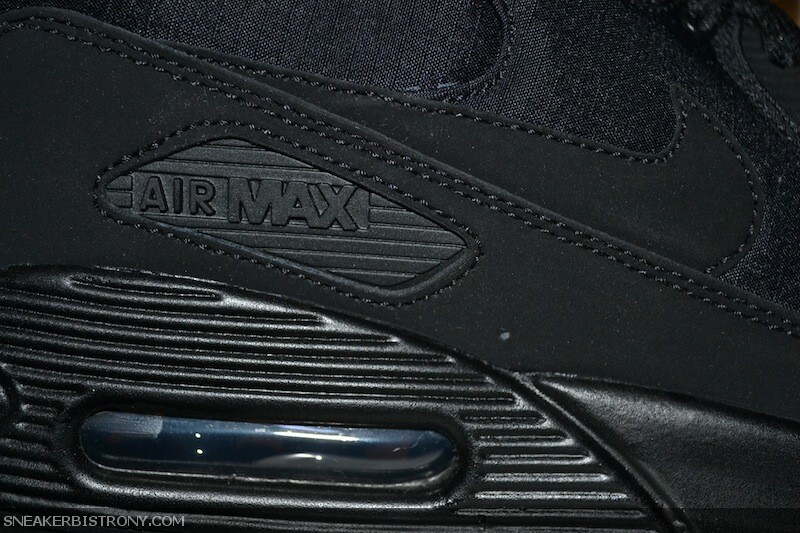 Nike's latest Air Max 90 has received the 'blackout' treatment commonly seen around this time of the year. Though the shoe is monochromatic its blend of materials makes it standout. 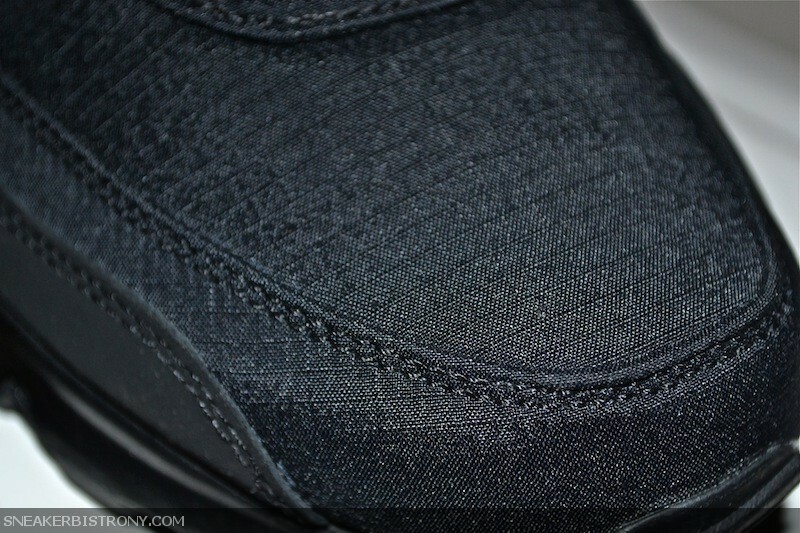 This shoe is comprised of its usual leather mudguard, however its upper is mainly covered in Ripstop Nylon which is not only lightweight but very durable.